Marin Art & Garden Center and Pacific Horticulture are co-producing “Garden Life: Art, Flowers, and Food” on June 18 at MAGC. Mission San Rafael Arcangel was founded in 1817, and its first pastor, Franciscan priest Father Gil Taboado, soon built a thriving agricultural community ministering to the native Indians. One of the mission’s most highly prized harvests was fruit from a large pear orchard planted by Father Gil. By 1834, the extensive church holdings in Alta California, were broken into enormous tracts of land or ranchos and sold by the Mexican government. The San Rafael Mission was abandoned, but Father Gil’s pear trees continued to bear fruit. In February, 1848, California became a United States territory. A month earlier, gold had been discovered in California. When word reached Australia, James Ross booked passage on the first ship for San Francisco. Ross parlayed his initial grubstake into a handsome profit, becoming a wealthy man. His wife and children soon joined him. 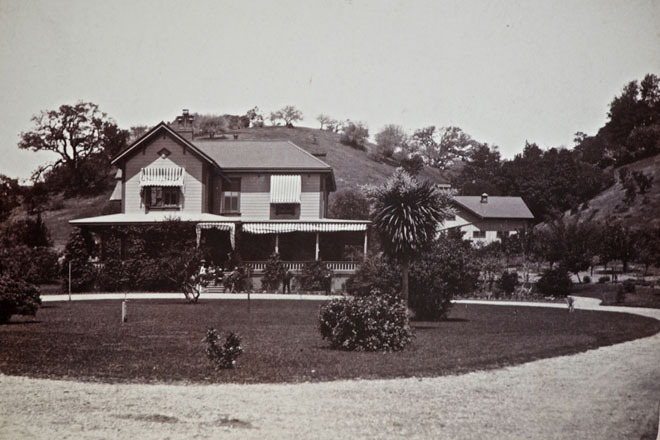 In 1857, Ross purchased an 8,877-acre property across San Francisco Bay known as Rancho Punta del Quentin, encompassing what today is all of central Marin County. Ross died a few years later and eventually the town of Ross was named in his memory. The Octagon House built in 1864 by George and Annie Worn is now the home of the Moya Library–Ross Historical Society. Annie, Ross’s oldest daughter, married his business partner, George Worn, and they carved out a 20-acre parcel from the rancho. In 1864, they built a barn for their livestock and an octagon house to contain a water storage tank. When they finished their lovely ranch-styled home they named it Sunnyside. 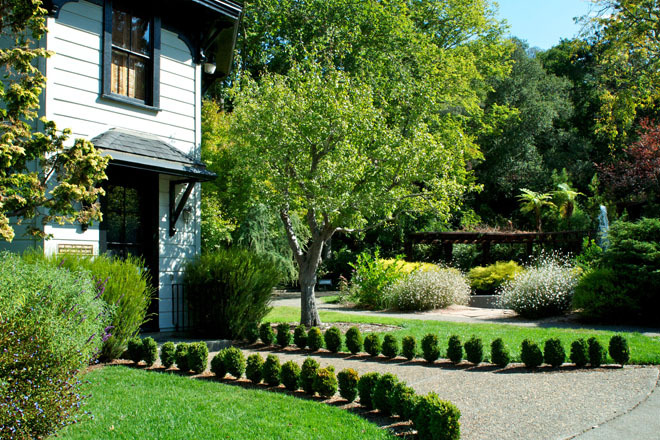 The Worns, both knowledgeable and dedicated horticulturists, planted specimen trees and shrubs on the property that today is the home of the Marin Art & Garden Center. Both the barn and the octagon house survive as historical and sentimental relics of the past. While the Worns were settling into Sunnyside, a new parish church was built on the site of the old San Rafael Mission, which had been returned to the Catholic Archdiocese. The plot of land containing Father Gil’s pear trees became known as the Priests’ Orchard or the Mission Garden. San Rafael locals enjoyed its abundant crop of pears as neighborhood children delighted in climbing the twisted, gnarled trunks. The Worn family circumstances changed suddenly when George invested heavily in Comstock Lode mining stocks and lost their fortune. In 1880, they were forced to sell Sunnyside to Jonathan and Harriette Kittle. However, the Worn’s legacy is preserved in the trees planted during their stewardship, many of which have achieved heritage status. A Southern magnolia the Worns placed as the center point of their driveway entry became known as the “Grand Dame” and is registered as the largest magnolia in the state. 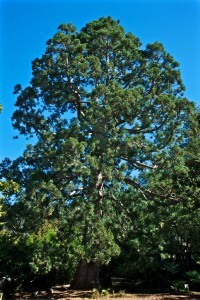 Under the ideal growing conditions at Sunnyside, a sequoia seedling brought back from Yosemite in the 1870s rapidly grew to maturity. And an English oak planted by the Worn family quickly attained an enormous size. The Kittle family lived at Sunnyside until 1931 when a fire destroyed the upper floors. The heirs razed the home and did not rebuild. 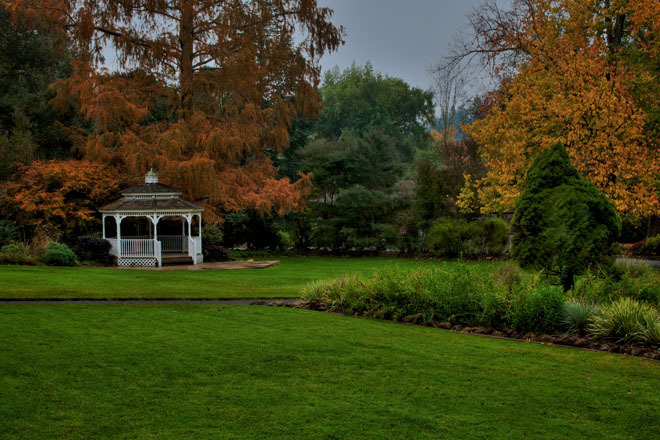 The grounds, reminiscent of a bygone era of American gardens, were minimally maintained. The irreplaceable heritage trees planted by both the Worn and Kittle families languished, but survived for the next 15 years until a group of community-minded residents acquired the property to keep it from being developed as a residential subdivision. By 1930, most of the Mission pear trees had died and the city had zoned Father Gil’s orchard for multi-residential use. Plans were approved for an apartment building, but before construction began, Richard Lohrmann, a longtime San Rafael horticulturist and founder of West End Nursery, took cuttings from the last remaining pear tree and grafted them onto a hardy rootstock. The new tree thrived and grew into a fruit-bearing tree, thus preserving the genetic identity of the parent tree and ensuring the fruit would be a replicate of the pears grown at the Mission in 1817. Caroline Livermore’s efforts were successful, and on April 30, 1945, Marjorie Kittle executed the grant deed. 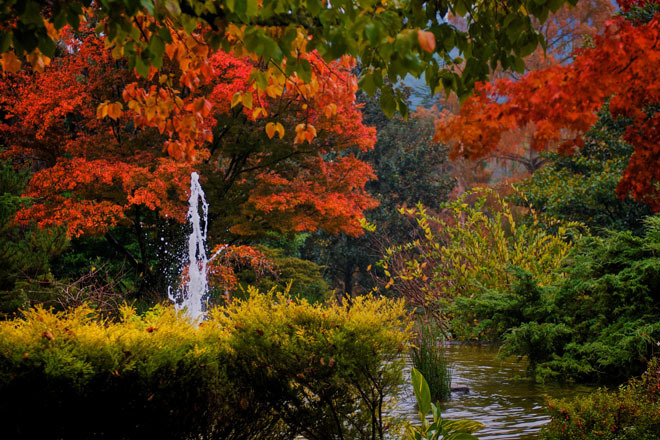 In July of the same year, Articles of Incorporation of Marin Art & Garden Center, A Living Memorial were signed by its first directors and filed with the State of California and title to Sunnyside was transferred to the new corporation. Richard Lohrmann retired in 1954 and sold the nursery to his nephew, Karl Untermann. Several additional grafts using cuttings from the remaining Mission pear tree were successful before the original tree succumbed to disease. Karl’s son, Tom, remembers the three trees his father successfully grew. One was planted back at the San Rafael Mission and another at the Marin Civic Center. Neither survived. 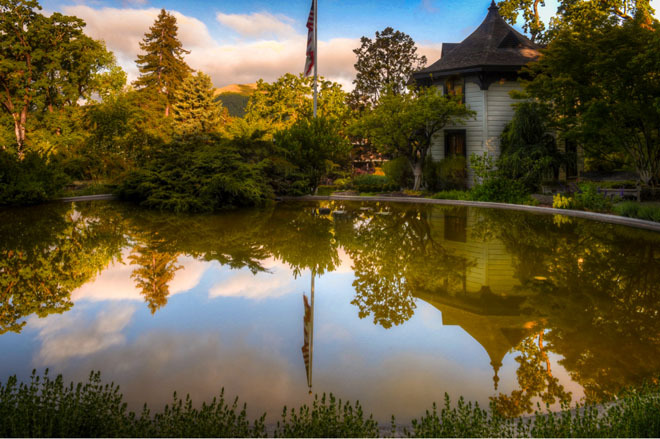 In 1969, to honor her husband, Jose Moya del Piño, Helen Horst Moya, a well-known artist and one of the founders of the Marin Art & Garden Center, generously funded the renovation of the original octagon house. Untermann gave Helen the third Mission pear tree. Today the tree graces the entrance of the Moya Library-Ross Historical Society and continues to bear delicious fruit. 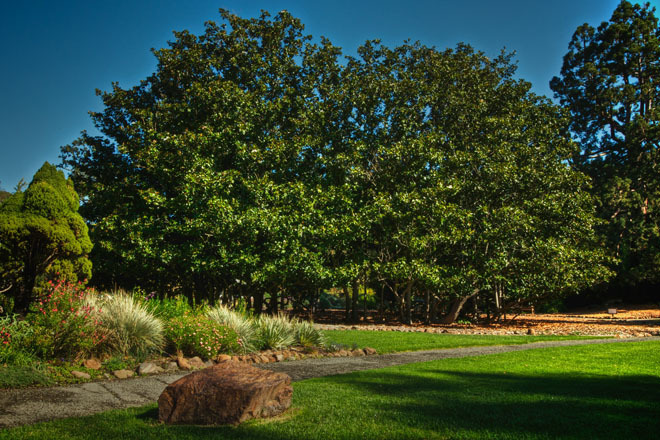 Of the trees planted nearly 200 years ago, it is the last surviving descendent of Father Gil’s original orchard at Mission San Rafael Arcangel.